Scoop 3/4 cup of sorbet into each of your 16-ounce temp-tations® café mugs. 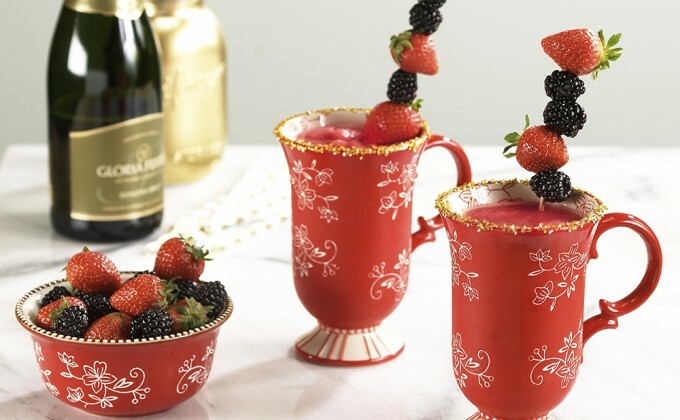 Fill each mug with champagne, sparkling wine or seltzer. Blend or serve as float. Place 3 blackberries and 2 strawberries on each skewer. Set one skewer in each mug for decoration. If desired, sprinkle the rim with edible sparkles or gold decorating sugar.